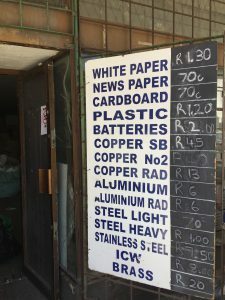 You are here: Home » Turning Livelihoods to Rubbish? This three-year project examines global trends in waste management which are reducing access to the livelihoods generated from waste for the urban poor. 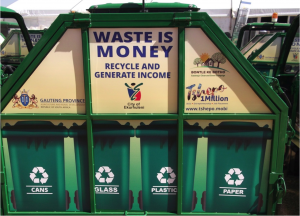 Environmental concerns from different actors, and awareness of the financial benefits of waste are contributing to the formalization, the financialisation, and the use of technology to replace the labour of handling waste. This could improve health for the urban poor, but also undermine livelihoods developed around waste and recycling and feeds into a wider arena of governance responsibilities. 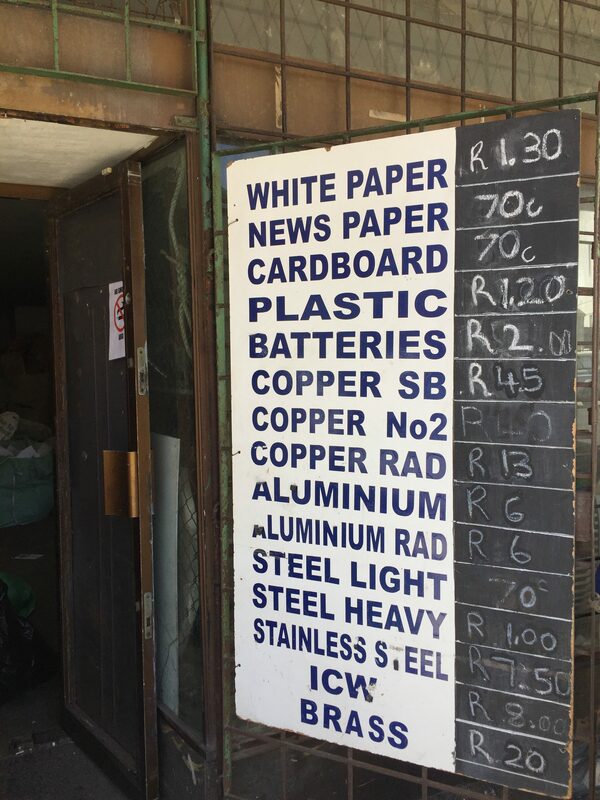 Changing prices for recycled materials, Cape Town, 2017. We examine specific interventions in South African waste management, from collaborative efforts between state and civil society to contested issues of using incineration to burn waste. In parallel we trace national-to-international waste business/state capital relations, in particular those linked to clean development mechanisms. Together this seeks to understand competing claims to waste and the governance processes through which these claims are adjudicated. In collaboration with partners we have done desk-top research on the situation in Ghana and Uganda to increase the comparability of our research to low-income countries of Southern Africa. Theoretically we draw upon research in urban political ecology and development studies. The project is based at the School of Environment at the University of Manchester in collaboration with the Department of Geography at the University of Florida, the African Centre for Cities at the University of Cape Town and KTH Environmental Humanities Laboratory at KTH Institute of Technology in Stockholm. The project runs from 2016 to end of 2018 with fieldwork starting in 2017. The research team will engage stakeholders through two workshops in 2017 and 2018 and a regional workshop in 2018. Research outputs include video and digital story telling for wider dissemination. Kruger, Yvette, Nate Millington, and Henrik Ernstson. 2019. Turning Livelihoods to Waste? (Documentary film, 35 minutes). South Africa & UK: Situated Urban Political Ecologies. Project time: 2016, 2017, 2018.